The Hobbit Trilogy is not as good as the Lord of the Rings Trilogy, but it has some very good moments. So, my intention here was to go back to the roots when this production was still going to be a 2 Parts movie instead of trilogy, so I took what I believe was the best of the first two and transformed it into a single movie. I did it because I always thought The Hobbit is not a book that should have 3 movies, cause it is not that long or dense as LOTR. And time gave me the reason, because I still feel like the first two movies are way too overlong and have a story that could be told in one film. So this is my attempt to make it that way. But don't expect changes like removing the bouncing barrels scene or the molten gold, because I actually didn't have problem AT ALL with those scenes. This is an attempt of reducing the trilogy while being loyal to Peter Jackson's vision, which I actually enjoyed for the most part. I used some parts of the Extended Editions, but nothing too important. Just scenes that help me to make the story more complete, or helped me to make a better transition. Let's face it, the Extended Editions of the Hobbit are not as intriguing as the LOTR ones. My name on the "Edited by" section. Better Pace, trimmed a lot of scenes and some stuff in the story were changed in order to make it advance faster or make them less silly. 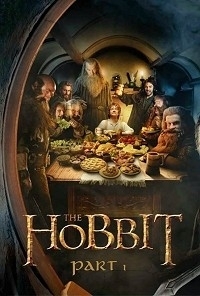 -The Film opens with Bilbo narrating the Story of Erebor. I added the Thranduil part where the dwarves don't give him the jewels and Girion trying to Kill Smaug. 60 years past after that. Then we move to Thorin and Gandalf discussing about going to Erebor and take the Arkenstone back. -All of those Bilbo's troubles about coming back to the Shire, or Thorin believing Bilbo is worthless are not in the fan edit. -Some action sequences were cut a little bit in order to make the story go forward. For example, the Goblin Town part or the Orcs chasing the dwarves while being distracted by Radagast. -One of Radagast scene was cut. Radagast is introduced when he talks to Gandalf about Dol Guldur. -Trolls scene was cut a little bit because i found it kind of silly and cartoonish, but anyways, i did what i thought it could be done. Not everything could be cut. -The complete search for Thorin's Father was added and continues in the next part. -Rivendel part was cut a lot in order to make the story flow faster. -Some footage was used as Flashbacks. When Galadriel talks about the Witch King, i Added the scene where he is buried in his tomb. -The audience does not know about Azog being alive until the Goblin King reveals he is hunting Thorin. -The love story between Kili and Tauriel was completely cut. -Because I cut the scene where the orc reveals Kili was shot with a Morgul Shaft, I modified the subtitles at some points to explain why is Kili so weak. -Once the dwarves get the toll gate, they are not stopped by Alfrid. Just a natural transition to the inside of the city. -You know the prophecy of Durin's Folk and stuff which people of Lake Town were discussing? yeah well, that was cut. No Prophecy at all. -Tauriel decides to fight Orcs and evil because she feels it's rotting their world, and she convinces Legolas to fight along her. -The First Part ends after the dwarves open the hidden door, so everything about the Arkenstone and Smaug resolves in the next fan edit. - The scene in which Gandalf mentions Radagast left over because the public no doubt that there are more wizards. - The Dwarfs throw away the key, it seems more like the end of the movie that a scene before the climax. But with that said when the adventure starts, flowing pretty good and better than the Jackson trilogy. The Transition between movies was a very clever idea, when I realized we were already in the part of '' The Desolation of Smaug ''. Rarely I realized that something was missing with 3 exceptions and not because this evil edited if not because they were somewhat notorious moments of the original movies. Although Tauriel and the scene of the barrels left over, as the editor itself says this is a loyal to Jackson's vision of Middle-earth version, so I'm not complaining. I have just seen the new version of this edition, in general this is pretty good, there are many scenes with a faster pace, many abrupt trancisions of the first set have been fixed, there are new scenes of the extended version and the version for theaters I suppose To give him greater emotional value and also new transitions that have not finished one scene and we are in another, most worked well, but there are two of these transitions that did not finish convincing me: 1) Gandalf talking to Elrond about the map and Of nothing is with Galadriel (Insert teletrack sound here) 2) The dwarves talking to Bard about guns and then a scene with Tauriel and Legolas, showing us nothing related to guns. I still believe that the spider scene is ridiculous and the Radagast scene is inescapable, but it is your personal vision, so who am I to complain? Again, I think this edition is made more for fans of LOtR than for fans of '' The Hobbit '', so I do not complain about all the subplots of the movies that were left. Maybe the end, is an anticlimatic something, but we came from a saga, where we had to wait 20 minutes after the climax to go home. Another thing is that I think it should have eliminated Beorn, since it does not contribute much to the film and lasts another 20 minutes. I still like this edition a lot, and this new version brings a lot to it. Hi Samspider3, thanks for sharing with me your edits =) Sorry not to make a review earlier. - In Radagast's attempt to distract the Orc pack, I think you shouldn't have deleted the Orc that picks up the dwarves scent and ultimately his death scream warns the rest of the pack of dwarves location, it would make sense for the others scenes of the pack surrounding the dwarves. - I think it is important to see Bilbo falling in the Goblins cave to pave the way for the "riddles in the dark scene". He just appears in the ground out of nowhere with the goblin. - I absolutely dislike that the "eagles final" was removed. To me this is the biggest flaw in Part I. You could've arranged it like the Arkenstone Edition for example which is great. - I don't think the One Ring should be seen affecting Bilbo that much. Sauron is still gathering strength and the One is somewhat dormant until LOTR, so I would suggest those scenes removed or trimmed. - You could have trimmed even more the "barrel water sequence" and Legolas stunts, I just hate that sequence, it looks likes a platform game. - I think you should have left the Gandalf's scene entering armed with Glamdring in Dol Guldur as well as Thrain scenes and adjusted it like Masirimso17s Hobbit: Fire and Water. - The "forges scenes" should have been removed entirely and Smaug being covered in gold too as well as the final itself could have been like Masirimso17s Hobbit: Fire and Water, although I also commented in his edit that i don'f find Ed Sheeran style and music to be fit for a Hobbit/LOTR movie. We have great epic musics sung by Enya, Emiliana Torrini, Annie Lennox, Neil Finn, Billy Boyd and then we get Ed Sheeran -.-''''', PJ was drugged in that moment probably lolol. The music is nobody's fault and is just my personal opinion. As for the rest I was pleased, good pacing... boring Goblin Town trimmed, love triangle gone as much as possible, boring Lake town trimmed, etc, etc. I have to finish Part II before i write you another comment. I praise all fan editors for their work and dedication, I'm a curious of sort in that department too =) Keep up the good work. I prefer this 2 movie edit more than each movie all in one 3 hour film because this retains most of my favorite parts from the original movies. This is a great shortened version of The Hobbit the first two movies the beginning of the movie goes pretty quick. The original movies beginning drag on a bit. There's a lot of scenes that are cut the don't really advance the story along. Although there is one cut in particular that I'm not a fan of is the stone giants battle being cut. It is one of my favorite scenes in the entire Hobbit movies. All scenes and small cuts work and you you don’t notice anything was cut out. In the end this is a solid Fanedit and I Highly recommend it! Can't wait for The Hobbit Part 2!